These Crisps were well balanced between thickness and Crunch. A bit broke through the Ripples fairly easily but there was a reasonably well sustained munch process and no mush at the end. Deep and wide Ridges complimented these dusky looking Crisps. The seasoning was visible as was a slightly crusty surface. 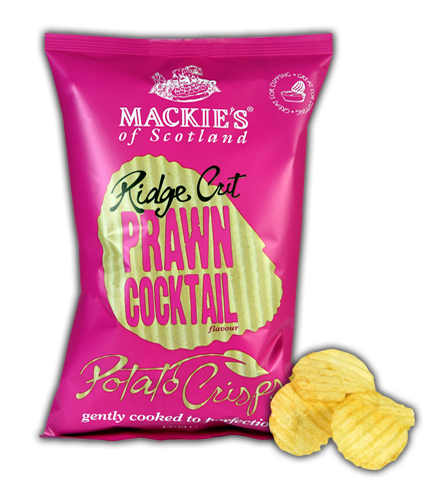 It was a little difficult to pin down the individual flavours of these Crisps. This is usually a good thing because it means there is a good balance. There was undoubtedly a Game like backdrop wot a slight sweetness, which was clearly of the Cranberry persuasion.